Jeddah - Saudi Energy Minister Khaled al-Faleh said Friday the global market has the capacity to absorb higher oil prices, drawing a swift reaction from US President Donald Trump, who accused OPEC of inflating prices. Faleh's statement at a meeting of oil producers in Saudi Arabia came as crude hit the highest level in more than three years. "Looks like OPEC is at it again," Trump tweeted. "With record amounts of oil all over the place, including the fully loaded ships at sea, oil prices are artificially very high! No good and will not be accepted!" "I have not seen any impact on demand with current prices," Faleh told reporters, ahead of a ministerial committee for OPEC and non-OPEC producers. "Reduced energy intensity and higher productivity globally of energy input leads me to think that there is the capacity to absorb higher prices," he said. The ministerial committee said Friday that crude inventory levels have been reduced, but were still higher than desired. Analysts believe Saudi Arabia, the world's top crude exporter, aims to see much higher oil prices to overcome its domestic financial difficulties and raise the valuation of state oil giant Aramco ahead of a planned 5% IPO. 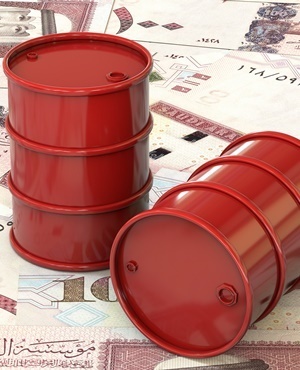 After prices hit $70 a barrel, the kingdom "is thought to be unofficially gunning for $80 a barrel, with some even suggesting that it favours a return to $100 (a barrel) oil," Stephen Brennock of PVM Oil Associates said. "As well as helping to reduce the Saudi government balance sheet, a further spike in prices would act as a boon for the impending Aramco IPO." "This is why Saudi Arabia is intentionally keeping the supply of oil tight," Commerzbank said. Faleh on Friday insisted the Organisation of Petroleum Exporting Countries does not have a price target for oil. "We never have a price target ... Prices are determined by the market," said Faleh, who warned against the danger of price fluctuations, saying "volatility is our enemy". Russia, the world's top oil producer, on Friday gave its backing to the idea of establishing an enduring alliance for producers to continue their control of the market. "We have created a very solid foundation for cooperation between OPEC and non-OPEC countries in the future even beyond the declaration of cooperation," Russia Energy Minister Alexander Novak told reporters in Jeddah. Oil kingpin Saudi Arabia said a "consensus" was emerging for a long-term cooperation agreement. The recovery has also been fuelled by geopolitical tensions, Trump's threat to reimpose sanctions on Iran and production problems in Venezuela, Nigeria and Libya. The US had already overtaken Saudi Arabia as the world's second largest crude producer, pumping just under 10 million bpd while meeting its agreed production cuts.